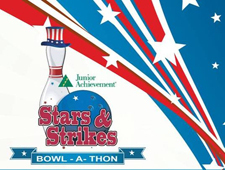 Jeffrey James, Products Liability Shareholder in the Tampa office, is recruiting volunteers for this year's Hillsborough County Junior Achievement of Tampa Bay Stars & Strikes Bowl-A-Thon. Junior Achievement (JA) is a non-profit organization that uses hands-on experiences to help young people understand economics, free enterprise, business and life skills - practical concepts such as setting budgets and balancing checkbooks. JA has a variety of programs designed to target students in elementary, middle and high schools all over the Tampa Bay area. Much of the funding for these programs comes from community fundraising activities, such as the annual Bowl-A-Thon event. To sign up for the team, CLICK HERE, and select the "Join a Team" option. Use the drop down menu to select "BLG" as the team you want to join. For additional information, please contact Jeff James at (813) 222-3310.